Sissu village offers a perfect view of the Gyephang peak. It is said that Lord Gyephang who is the protector of people of Lahaul resides in this peak. Also in the village is located the temple of Gyephang where a visitor cannot go visiting. Also are visible from this village are the Gyephang peak glaciers and the Sissu falls. 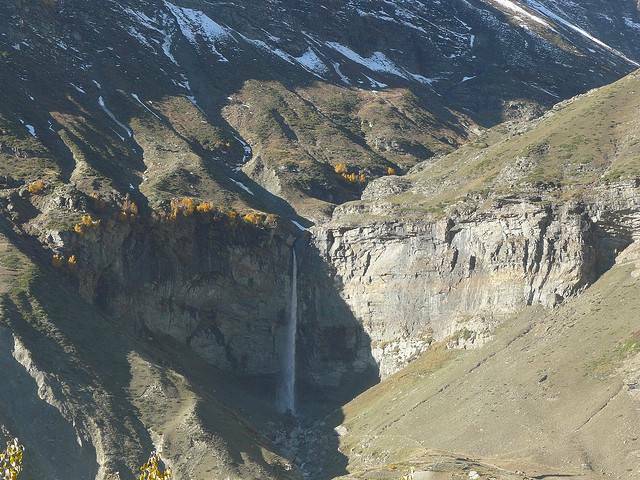 Sissu falls are about 25 Km from Gramphu on the Manali-Leh highway. Sissu falls are considerd to be one of the best waterfalls in the Himalayas.